Tottenham are in talks with Chelsea over a late move to sign Michy Batshuayi but the two clubs are haggling over the structure of the deal, according to Telegraph journalist Matt Law. Batshuayi has struggled to settle during his loan spell at Valencia this season with the striker scoring just 1 La Liga goal and has started just four league games this campaign while he’s not even made the matchday squad in any of their last three matches. Chelsea are looking to find the Belgian international a new club for the second half of the season but proposed moves to Real Betis, West Ham and Everton have all failed to progress. It was reported earlier in the day by Football London that Batshuayi had his heart set on a move to Tottenham after they had expressed an interest and it seems a potential late deal could be on the cards. Telegraph journalist Matt Law claims the 25-year-old’s agents are working to try and facilitate a late move to Tottenham with Chelsea demanding a permanent deal worth at least £35m. However, Law says Spurs have so far only shown an interest in signing Batshuayi on a short term loan until the end of the season so a move at this stage looks unlikely to be agreed. Mauricio Pochettino is short of options up front with Harry Kane out until March with an ankle injury and Dele Alli also sidelined for another month with a hamstring complaint. Fernando Llorente scored against Watford last night but it was a rare highlight for the Spaniard as he’s struggled to make an impression under Pochettino, while Spurs are desperate to offload Vincent Janssen before the window closes. 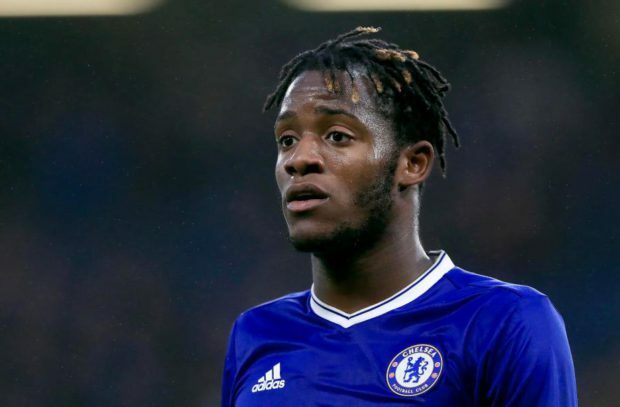 Batshuayi would be an excellent signing for Tottenham if they could get the 25-year-old on an initial loan deal but understandably Chelsea are reluctant to do business with their rivals unless it’s a permanent sale. We’ll have to wait and see if either club changes their stance over the final couple of hours but time is running out for a deal to be agreed before the transfer window closes at 11pm. How can we let Dembele leave and not replace him? arguably our best player, the squad themselves would agree with that. Not to replace him is total mismanagement on behalf of LEVY. Every year it’s the same old story under the control of Enic, Lewis and Levy, no investment just when we need it, that is why under their control Spurs will not win a thing. Spurs fans need to start calling for, ENIC, LEWIS and LEVY OUT !!! @Tony Borg. You obviously don’t understand that football is a business. Levy/ENIC have Spurs purring as a business. The cost of the stadium went up by £300m. You don’t think that’ll have an impact on other sides of the business. Besides, Poch doesn’t want players for the sake of having them. He wants players that he wants, and that contribute.